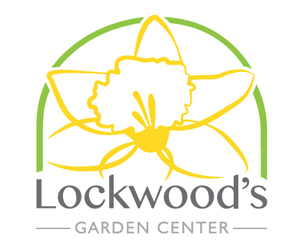 Awhile back, some gardeners went to Lockwood’s Greenhouses, 4484 Clark St., Hamburg, looking for advice. Every branch of their spirea had been coated with aphids. And if that wasn’t enough, now they had these new insects, ugly things. They brought some specimens in a small plastic bag and showed Teresa Buchanan, general manager at Lockwood’s. The gardeners wanted to know what to do. Should they spray the insects with some kind of a soapy solution or organic pesticide? 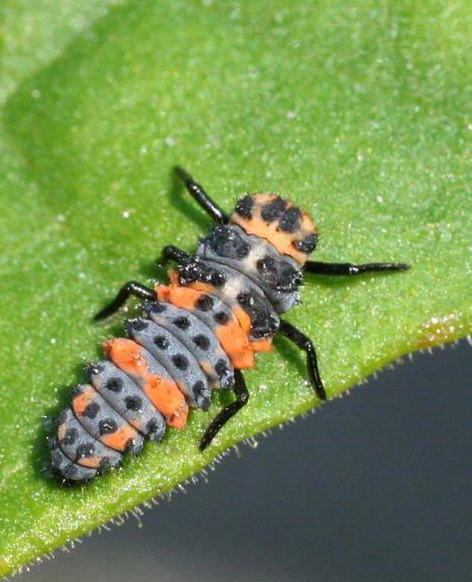 Those new bugs were the larvae of ladybugs, which can eat about 50 of the pesky aphids a day. The gardeners almost eliminated the insects that would take care of their aphid problem! Don’t kill insects unless you know exactly what you’re doing. You may be getting rid of the very insects you want in your garden! It’s hard to tell one insect from another. There are many kinds of ladybugs, plus there are things that look like ladybugs but aren’t. And ladybug larva looks like it’s a completely different insect. Get help to figure out what that insect is. If you think an insect is eating your plant, put a piece of the plant, along with the insect if possible, in a small plastic bag and take it to a local garden center like Lockwood’s. They have trained staff who can help you figure out what to do. It turned out that what I had was a lovely mock orange, but some kind of weed bush had grown up around it. Since only the leaves of the weed shrub had the problem, I didn’t have to spray anything. I just cut the weed bush down and enjoyed the mock orange. I’m glad I got expert help! Another option for figuring out what is bothering your plant is to contact the Cornell Cooperative Extension office in your county. 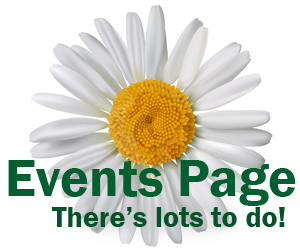 They all operate a little differently, but the Master Gardeners generally have a helpline that you can call, or you can email a question and attach a photo, and sometimes you can stop in. Realize that even if you are killing insects that are pests, your spray may kill other insects, too. Don’t spray unless you absolutely have to. Even an organic spray can kill insects that are helpful to your garden. Organic doesn’t mean harmless. Resist the urge to spray pesticides. “Most of the time you don’t have to spray for aphids,” Buchanan said. When there is a large infestation of aphids, the number of ladybugs will increase, too, she said. If you don’t see the ladybug larvae and you’re nervous, you can spray, but just use plain water, she said. Use your hose to spray the aphids off your plant. Some aphids will probably remain on the plant, and that’s okay. The aphids you squirted off might not be dead, just dispersed, and that’s okay, too. You’re buying some time for your plant and letting the ladybugs catch up with the aphids. Squirting the plant with water can work for indoor plants, too. If you take a plant outside and bring it back in, you might find that you’ve brought aphids with it. Take it to your sink and spray off the aphids and let them go down the drain. If that isn’t enough to control the aphids and your indoor plant is being damaged, you may have to use a pesticide, Buchanan said, since we can’t depend on ladybugs and other beneficial insects to eat aphids inside our homes. Again, get advice from the Master Gardeners or a local garden center to make sure you have identified the problem correctly and use the appropriate product. Remember our ladybug friends and keep these five lessons in mind the next time you consider using pesticides. Very good advice. Good insects get caught in the crossfire so often. Let nature do her thing.